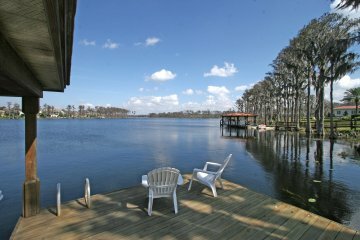 GREAT OPPORTUNITY TO BUY LAKEFRONT AT VERY ATTRACTIVE PRICE! A European style residence, located on Lake Louise one of 10 Lakes in The Butler Chain of Lakes. OWNER WILL CONSIDER TRADE ! Dramatic 2-story entrance foyer leading to the 21 Ft. 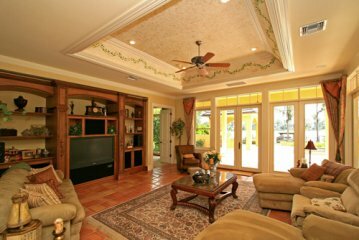 Living Room with a gas fireplace and French Doors opening to the Pool, Terrace and Lake. For ambiance or chilly evenings on the terrace, there is an outdoor fireplace, heated pool and heated spa. 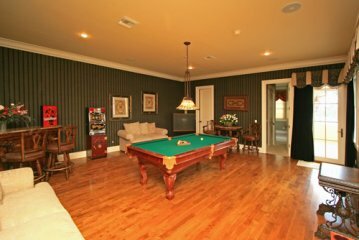 The 28 Ft. Master Bedroom has a morning bar, sitting area and French doors leading to the pool, terrace and lake. The very elegant Master Bath features separate granite top vanities, jetted tub, shower, and custom closets. 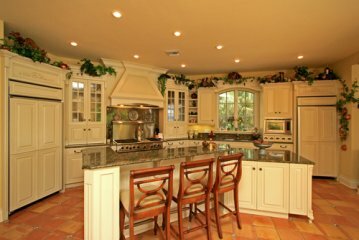 There is a Gourmet Kitchen featuring an island with granite top, custom cabinetry, stainless steel appliances, butler pantry, and serving bar. The views from this kitchen are the family room, breakfast area and views of the lake, cabana with summer kitchen, pool and terrace. 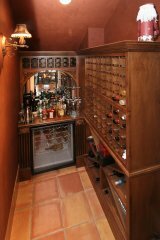 The Family Room has custom shelving for special treasures. 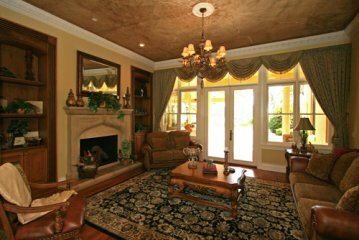 For listening pleasure there is interior and exterior surround sound. All 4 Bedrooms Suites have large closets, private baths and beautiful views. 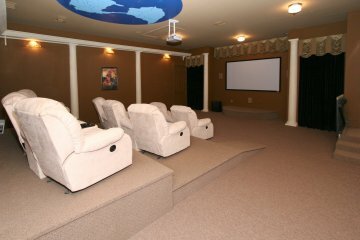 The 23 Ft. second story Game Room has a balcony over looking the lake. 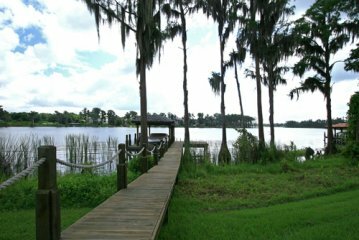 For the boating enthusiast, there is a private dock with a Davit Hoist that will allow easy access to the Butler Chain of Lakes at a moment’s notice. 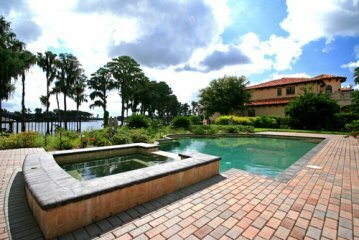 This magnificent residence is located in Isleworth-a gated, golf and country club community and approximately a 25-minute commute to the Orlando Regional Airport, medical facilities, interstate highways, attractions, major golf courses and area malls with nationally known retailers, restaurants are a short driving distance from this elegant lakefront home. Property being sold completely furnished and professionally decorated. • Guest Apt./In-law with Living Room, Bedroom, Kitchen, and Full Bath. • Davit/hoist and Dock for a boat.